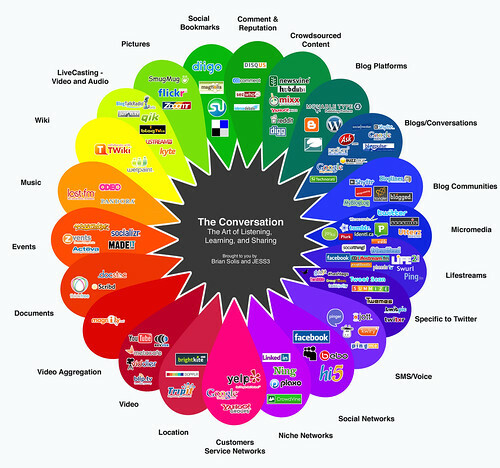 The Conversation Prism, originally uploaded by b_d_solis. Are we missing out on teen conversation and collaboration and knowledge-building and peer-educating because of an inherent fear of new ways of “talking” to each other? I’m converted. I speak digital, new media, whatever it is. Maybe not as fast and as furious as a teen, but I am part of the daily thread.